After some experimenting, we’ve created a keto fathead dough remix that we like for delicious keto pizzas! Give it a try for an awesome pizza crust! After some experimenting, we've created a keto fathead dough remix that we like for delicious keto pizzas! 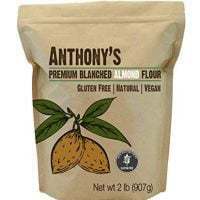 Give it a try for an awesome pizza crust! Voila! Beautiful and tasty crust ready for toppings! Making this crust “crispy” was never our intention. It can be crisped, but requires longer cooking times and different heats so it doesn’t burn. 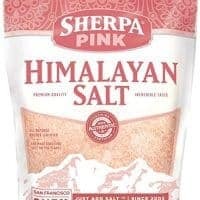 Is it necessary to use the Pink Himalayan salt or can one use regular salt or kosher salt? And does this make up into good rolls. Regular salt would work just fine. And no, this recipe wouldn’t work well for rolls. It is meant to crisp slightly, more like a crust. Trying this but having a hard time flipping it over. Any ideas on how to do this so it doesnt fall apart? Maybe I needed to cook longer? Flipping the crust isn’t the easiest, but we have always been able to pull it out of the oven, grab it from one side, and pull it across to the other, turning it over. And yes, a little more cook time might help. Can these be made ahead a refrigerated til morning?